Is There A Way To Improve A Scar? Yes | Wesley Anne Brady, M.D. 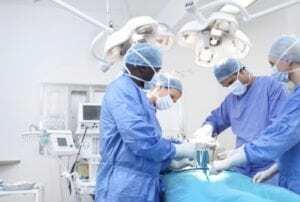 Regardless of whether the result of some traumatic injury or surgery itself (elective or otherwise), many patients express concerns for scarring, especially when considering undergoing surgery. While cosmetic procedures are designed with aesthetic improvement in mind, this does not mean that they are always “scarless” procedures. Each surgery trades the creation of scars for an improvement elsewhere. In our specific niche, that means an improvement in appearance of the vaginal tissue and with vaginal rejuvenation, increased sensation and function of vaginal anatomy. Any surgeon you choose should be trained to minimize a scar’s appearance during elective surgeries using specific surgical techniques or a combination of those techniques. It should be noted that first and foremost, it is important that a person follow all instructions and restrictions after their procedure and keep a diligent eye on the healing wound to watch for any potential infection. With that said, there are some measures that can be taken to improve the appearance of a scar. One approach for scar treatment is using over-the-counter therapies. These would include moisturizers, sunscreens, silicone sheeting, physical barriers and even massage. Moisturizers are a great way to nurture a wound’s healing process, keeping the tissue soft and hydrated, ideally minimizing the scar that is currently forming. Sunscreen is an effective way to limit the post-inflammatory discoloration (hyperpigmentation) that accompanies the wound healing process. Look for sunscreens with titanium oxide or zinc oxide as these ingredients act as physical barriers from the sun’s harmful UV rays. If sunscreen isn’t available, opt for physical barriers to minimize the incision’s UV exposure, as well as the likelihood of scarring. Consider wearing dark colored clothing over the affected area or even Band-Aids or medical tape (depending on the area of concern). Silicone sheeting, can be an inexpensive method to soften and flatten scars that have already formed and can be cut to fit the exact size of the scar. Massaging a scar can be a very effective way to keep a scar soft and flat while it’s still in the healing or maturing process. Massages used in conjunction with moisturizers desensitizes scar tissue and the surrounding skin in addition to softening and flattening the partially healed area. Make sure you request specific instructions from your surgeon to ensure speedy healing if using scar massage as technique and to ensure minimized risk of wound separation. Our patients must wait until 6 weeks after surgery before scar massage. Another way to address scar treatments is through prescription medications or treatments performed by your physician. Prescription topical creams such as tretinoin (Retin-A or Tazorac) and hydroquinone (bleaching cream) can be applied to help speed up the healing process, assist in fading a scar, and lighten the discoloration and darkening of skin associated with the scarring process. In-office treatments that your physician may choose to perform in cases where a patient may be prone to hypertrophic or keloid scars would likely include injections of corticosteroids to help the scars soften and flatten, and lessen redness, irritation, and itchiness. Lastly, surgical procedures can be employed when scars do not respond to some of the above mentioned therapies. One procedure, called subcision, can be used to treat a scar that has become bound or tethered to underlying tissues. This involves creating a small puncture near the scar and using a needle to release the fibrous bands causing the tethering. If the scars have not responded to the conservative treatment options, some patients opt to have a surgical revision. Here, your physician would excise or remove the existing scar in an attempt to “redo” the process and create a thinner, less noticeable scar. Dr. Brady has offered revision labiaplasty surgeries to many patients who are unsatisfied with their scar results from other surgeons to improve aesthetic appearance and alleviate discomfort that scarring has created. Though it is impossible to completely erase a scar, and the risk for major scarring is less than 1%, it’s reassuring to many patients to know they do have options to improve the appearance of their scars. Dr. Brady is happy to discuss any and all options for anyone interesting in improving the appearance of their scar(s). Contact us today for your complimentary consultation.